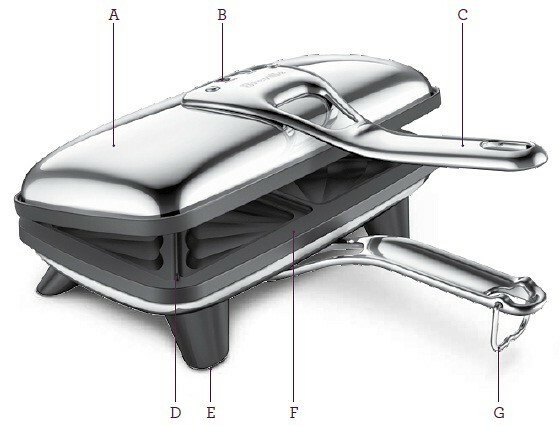 The BSG1974XL The Original™ – The first seal & cut sandwich maker was invented by Breville in 1974. Then a seal & cut sandwich was nick named a Breville . “brevuhl” (noun) : a seal & cut sandwich that is diagonally bisected. So why don’t they make them like they used to ? Good question…so we did. B. 'HEATING' and 'READY' Lights. C. Cast Stainless Steel Handle. 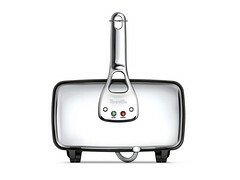 F. Easy Clean Design with Wide Sealing Edges.